Keep your blower handy - mounts right to the roll bar of your ZTR! Save time and energy! An optional blower adapter for your zero turn. 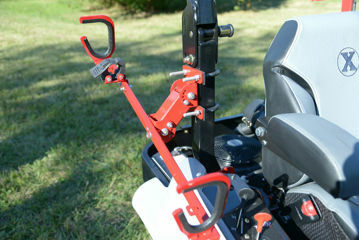 This adapter mounts 1 backpack blower to 2" roll bar on zero turns. Customized for a snug fit to keep your backpack blower available for use while working in large areas. No more walking back to the truck for your backpack blower! ***A separate U-bolt will be needed to fit roll bars that are over 2"
NOTE: Blower and mower not included! 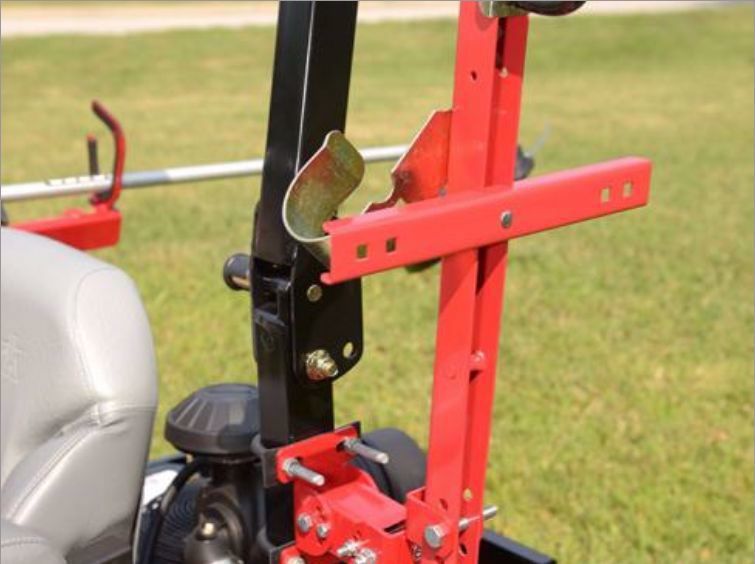 An optional trimmer holder for your zero turn.